Oh horror fans, has Shudder got a treat for you! While it may not be Halloween and Christmas is a frozen memory, there is a whole new horror holiday today - the premiere of Sadako vs. Kayako on the screaming streamer! A little synopsis from the presser on writer/director Koji Shiraishi's ultimate grudge match: After viewing a legendary cursed videotape, Natsumi discovers she has only two days before she will be killed by the demonic entity known as Sadako. The only way to break the curse: pitting the demon Sadako against Kayako, an accursed spirit possessing a haunted house where everyone who enters disappears. OH: Were you fans before being cast, and what did you learn about the women you played. Elly: We both had to go to auditions, and when I got this opportunity I really wanted to play Sadako so I was very happy. Day by day I started learning it was a big responsibility to play Sadako but the most important thing was to try to enjoy and create a new Sadako. 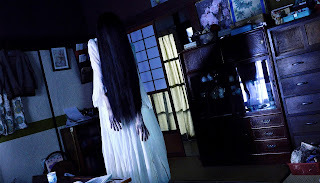 Runa: Kayako is one of the biggest Japanese horror movie characters and she was already there when I was little and she was very scary for me. 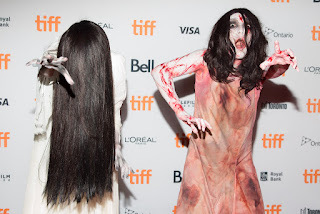 I had a lot of pressure to play the role and really didn’t want to make her fans disappointed by creating a new Kayako so when I took the role I met the actresses who have played her and they encouraged me that I had the talent to create a new Kayako that would be accepted by the fans. I am very honoured to be a part of Kayako now too. 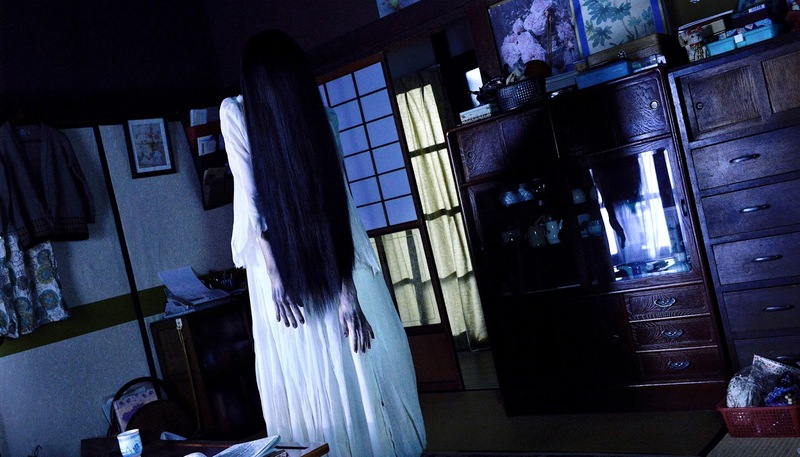 OH: Kayako and Sadako are very physical ghosts - what the most exciting scenes to film? Runa: I tried to create Kayako by using my joints and make my eyes as big as possible with facial expressions. I kept getting ideas how to be as scary as possible and I really enjoyed it. OH: Was your hair real? Elly: It was a wig. 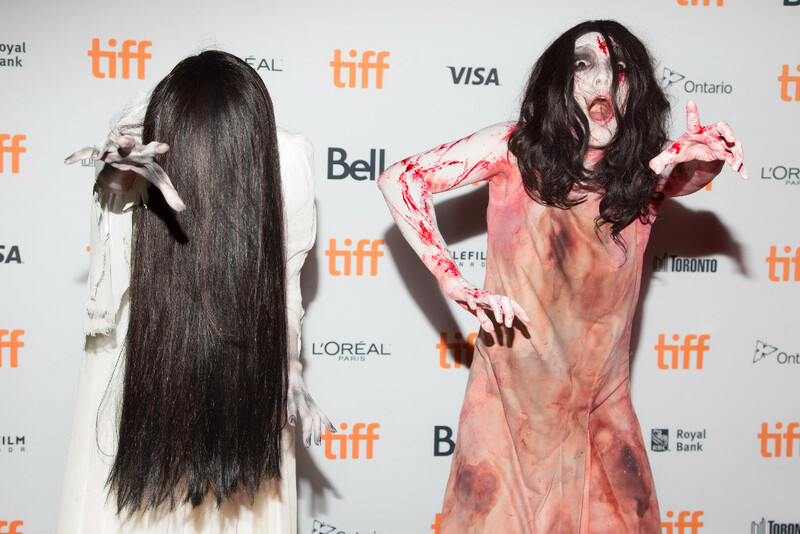 The hair is very important for Sadako, so the make up staff really took good care of it… and I am sure that Sadako's hair had healthy cuticles! OH: With popular movies like Tag Along, and Carved, and Ringu and Ju-On being so popular are movies still scary to you or are you used to them after hearing so many ghost stories and legends? Elly: I love horror movies but during shooting, I played a role that makes other people scared so I couldn't be. And in the movie I was not a human being but I had to kill people so the role was kind of heavy on my shoulders so when shooting was over I was relieved but I kind of miss it. Runa: I don't like horror, and usually I get scared easy in my daily life. I didn't believe in ghosts but during shooting I was not scared of ghosts or evil until they appeared. If they were to show up I would say "Oh, you are my friend" After the shooting was over, I now believe in the existence of ghosts. One of the actresses can actually see ghosts, and her story was scarier than other ghost stories. She was able to see ghosts since she was little. Runa: I cannot give her name since I have don't permission!